Genetics, aging, sun exposure and lifestyle factors can impact skin’s elasticity, causing it to sag and wrinkle. A facelift is an excellent option for patients who want to tighten their facial skin and reduce wrinkles. During this procedure, Dr. Elsa Raskin will make small incisions around your ears, temples, and chin to alter the underlying fat and muscle. Once she has removed any surplus fat, she will tighten the muscle and gently pull the skin back into place, removing any excess tissue. This surgery is usually performed on an outpatient basis and can take two to three hours to complete. Oftentimes, our faces can be our biggest betrayers of age. The mini facelift surgery is of the most commonly performed facelift surgeries. 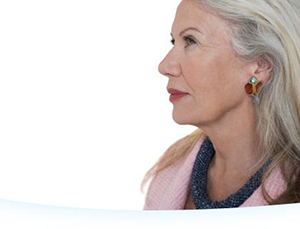 Mini facelift surgeries address wrinkling and sagging in the lower third of the face. During this procedure, Dr. Elsa Raskin will restore definition to the chin and lower half of the face by removing and tightening excess tissue around the jaw. Mini facelift surgery can help patients who are prone to loss of definition and agining in the jaw and lower third of the face. Unwanted fat and skin around the eyelids can create wrinkles and even impede vision. With ophthalmological and cosmetic surgery training, Dr. Raskin can address all of your aesthetic and medical needs. She regularly performs eyelid surgery, also known as blepharoplasty, to improve drooping eyelids, swollen bags under the eyes, and stubborn wrinkles, such as crow’s feet. During surgery, Dr. Raskin will make incisions around your eyelids to remove excess skin and fat. 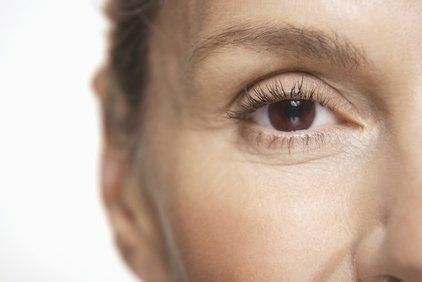 A blepharoplasty usually takes between one and two hours to complete, and the procedure can be performed under mild intravenous (IV) sedation. Earlobe abnormalities can make patients feel unhappy with the appearance of their ears. 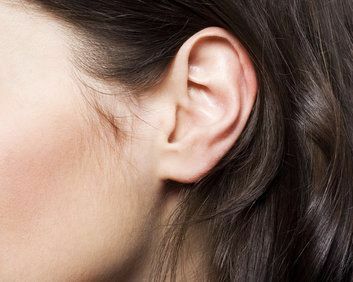 Earlobes may become disfigured due to complications from piercing, or they may be naturally elongated. Dr. Raskin performs earlobe repair surgery for any patients who are concerned about the appearance of their ears, including those with tears, stretches, or keloid scars (a harmless but noticeable growth from scar tissue). This procedure simply involves making incisions into the lobe, removing any damaged or unwanted tissue, and suturing the lobe back together. Earlobe repair surgery involves minimal scarring and a short healing time. Ptosis is the sagging or drooping of the upper or lower eyelid, which can obstruct your vision. This condition is sometimes congenital, but it can also develop due to aging or issues with the muscles, nerves, or skin. Dr. Raskin performs oculoplastic surgery, procedures that utilize plastic surgery techniques to repair the eyelid, tear ducts, and bones around the eyes. She can combine her ophthalmology and cosmetic surgery skills to effectively resolve ptosis and other ocular issues.